Managing partner Jerry Griffin will oversee the practice. NEW YORK: B/HI has launched an esports division called GG. Named after the gaming shorthand for "good game," GG will operate out of New York and Los Angeles. Managing partner Jerry Griffin will oversee day-to-day operations and report to Dean Bender, founding partner and president, according to a statement from the firm. GG will work with esports organizations, as well as brands that are both endemic and non-endemic to the space, said Griffin. Its services will include research, management, influencer relations, and philanthropic services through its partnership with Games for Change. G4C is a nonprofit that incubates and funds games for social good, using the medium as an education tool, and shares best practices to teach clients about corporate citizenship and community building, Griffin said. Esports work makes up 35% of B/HI's interactive gaming practice, Griffin estimated. Clients include the Echo Fox, an esports organization owned by former Los Angeles Laker Rick Fox; Immortals, a Los Angeles-based organization; and Super League Gaming, an organization for amateur players. B/HI has also worked with Team Liquid, one of the original esports organizations that launched in South Korea in the 1990s, and its parent company, aXiomatic Gaming. Basketball hall of famer Michael Jordan has reportedly invested $26 million into aXiomatic. B/HI works with game developers and publishers including GungHo, which made Puzzle & Dragons; Jagex, the creator of RuneScape; and Nexon, which pioneered the concept of offering microtransactions within free-to-play games. "If we build something more meaningful than an amalgamation of clients – we already have four practices built that way – we set out to build something that could open up doorways for franchises, leagues, and brands that may have not figured out their strategy yet," Griffin said. Those strategies could include corporate citizenship, thought leadership, and seeking out creative management, he added. 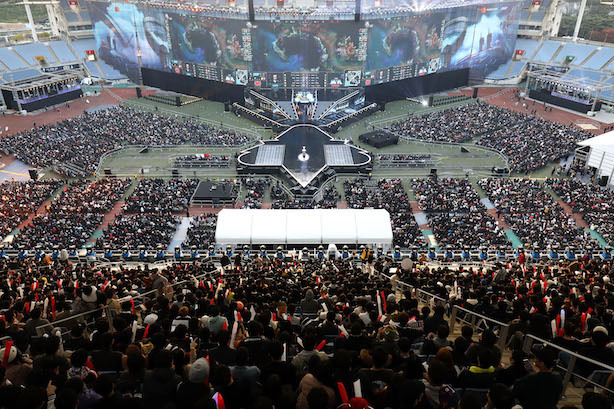 Growth in esports has accelerated over the past two years, driven by capital infusions and the founding of franchise leagues. However, even as the space matures, Griffin said recalibrations are expected. "We try to keep finger on pulse of that and pivot accordingly," he added. This story was updated on November 8 to correct the name of Games for Change.